Sultanate of Oman. Source: Roja Parfums. “THE MAJESTY OF OMAN” “For thousands of years, the Sultanate of Oman has been celebrated for producing the world’s finest Frankincense. 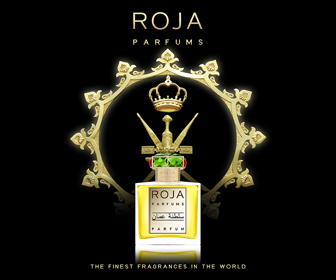 I dedicate this creation to His Majesty The Sultan and the fragrant legend that grows in his kingdom.” – Roja Dove. BASE: Cardamom, Elemi, Saffron, Gurjum, Papyrus, Oakmoss, Cedarwood, Guaiacwood, Amyris, Sandalwood, Aoud, Carrot Seed, Orris, Frankincense, Birch, Musk. Sultanate of Oman essentially has four phases on my skin. The brief, mixed opening stage features many of the notes listed above before the fragrance quickly transitions to turn into a floral oud. It gradually changes focus to emphasize the signature incense note, layered with oud and other woods, during its long main stage. In its final hours, the fragrance turns into a simple incense fragrance with a touch of ambery, golden warmth. Sultanate of Oman opens on my skin with silvered plumes of frankincense smoke sandwiched between heavy layers of elemi resin that smells lemony and, above all else, peppery. The central duo is smeared with a thick paste of fresh carrots, then decorated with dollops of crisp grapefruit, sticky orange, and fruity raspberries. Syrupy jasmine, a few pale, pink rose petals, a handful of saffron, and a pinch of oakmoss greenness lie at the edges. The base consists of multiple types of wood with dry cedary, smoky guaiac, and earthy oud being the clearest notes. When taken as a whole and also when smelt from afar, the bouquet is mainly centered on a duet of frankincense and peppery, lemony elemi, infused with crisp, refreshing, bright, and sweet citruses, then quiet touches of syrupy florals and dry, smoky woods. When smelt up close, the carrots are very noticeable, the florals separate into their different parts and are strong enough to muffle the citruses, while the oud dominates its woody companions in the base. Everything is blended so smoothly that the notes flow seamlessly one into another, but the frankincense and elemi stand head and shoulders above the rest. The quality of the silvered incense is smooth and clear. It’s also complex in scent, wafting lemony, piney, balsamic, resinous, woody, and clean, dusty, church tonalities all at the same time. The end result feels like an old school, original style Amouage except for one thing: Sultanate of Oman is extremely sweet on my skin. The jasmine is like pure honey, and its sweetness is magnified even further by the gooey raspberry, the sugary orange, and the equally syrupy rose. Roughly 15 minutes in, the level of sweetness rises so exponentially that it dilutes the fresh, piney, aromatic, balsamic, and lemony aromas of the elemi-frankincense duo. 25 minutes in, the latter are engulfed to the point that they’re merely thin streaks within a thick, heavy, and immensely sticky cloud of fruity florals dominated by the jammy rose and the honeyed, sugary jasmine. At the same time, the woods rise up from the base and fuse with the florals. The carrot and its freshness disappear, the grapefruit is a mere blip on the radar. Roughly 30 minutes into its development, Sultanate of Oman has changed focus and turned largely into a fruity-floral oud. Thin strands of frankincense, elemi resin, and crisp citruses wrap everything up in a bow, but the central forces are the roses, oud, and jasmine. It’s very much a typical Middle Eastern fragrance in vibe and aesthetic but it’s nice, despite the fact that its sweetness made my teeth hurt. Two things make the fragrance stand out from its many, many cheaper floral-oud rivals: the quality of the frankincense and the addition of aromatic, fresh elemi. Once the goopy, syrupy florals basically kill of the grapefruit, the elemi becomes the only counterbalance and bit of brightness. When combined with the very pretty silver Omani frankincense, they help to elevate the scent a small step beyond the mundane triteness of a simple floral oud. I would have preferred a greater divide, but Sultanate of Oman doesn’t remain a floral or rose oud for long. The fragrance shifts direction and focus again when its main stage begins roughly 2.25 hours in. The frankincense takes over, followed by the peppery elemi, the oud, a very smoky guaiac, and a dry, parched sandalwood. I have to say, I think all three woods smell very synthetic. The rose fades into the background, while jasmine retreats to the sidelines, offering a modicum of sweetness to balance out the increasingly incense-y, smoky, dry, and woody character of the bouquet. If I smell my arm up close, the florals are noticeable but, from afar, Sultanate of Oman is all incense and smoky woods. The fragrance remains that way for quite a number of hours without any major or dramatic change. It simply becomes drier and smokier. By the end of the 4th hour, there aren’t even faintest traces of the flowers, fruits, or sweetness. Instead, glimmers of peppery, dry papyrus appear, and it accentuates the sharpness of the wood accord. There is also a tobacco-like, almost leathery woody undertone that reminds me a lot of cypriol, a material frequently used in Western perfumery to pass for oud. The oud itself doesn’t smell at all like actual agarwood to me but like a synthetic substitute which is disappointing for a fragrance with this price tag. From the start of the 5th hour until roughly the 12th one, Sultanate of Oman turns into a simple mix of incense smoke with brittle, desiccated woods. 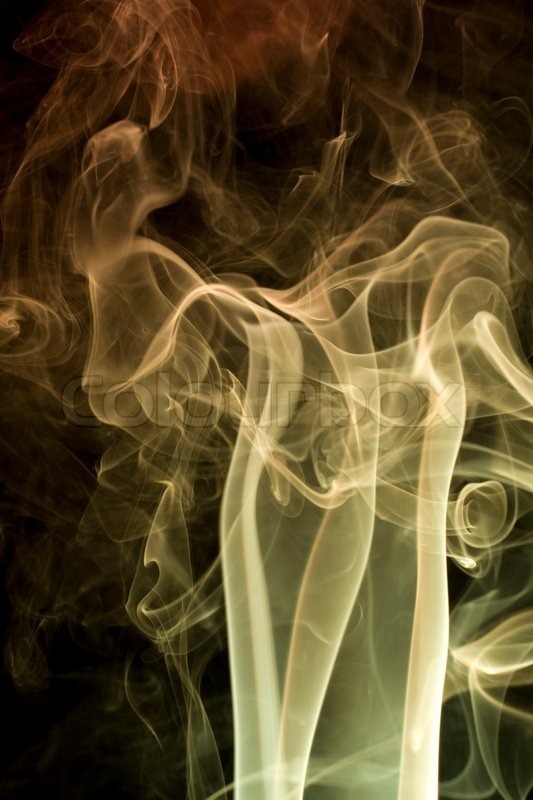 In its final hours, the incense is all that remains, although there is a slightly ambery goldenness underlying the smoke. Sultanate of Oman had generally soft projection, initially strong sillage, and very good longevity. I was sent a tiny atomiser by Roja Dove’s distributor that sprayed in small squirts. When I applied the equivalent of 2 sprays from an actual bottle, Sultanate of Oman opened with about 3 inches of projection. The sillage was about 4-5 inches, but it grew to about 8-9 inches after 30-35 minutes. About 2.25 hours in, the projection was between 1.5 to 2 inches, while the sillage was around 4-5. At the 3.5 hour mark, the projection hovered about 0.5 inches above the skin, and the sillage was close to the body. Sultanate of Oman became a skin scent 6.75 hours into its development, but it was easy to detect up close without major effort until the 10th hour. In total, however, it lasted just a hair over 15 hours. With a larger quantity than a 2-spray equivalent, it lasted 17-18 hours. I haven’t found any reviews for Sultanate of Oman at the time of this post. There are no comments on its Fragrantica or Basenotes pages, no Basenotes discussion threads, and no blog reviews. So, you’re stuck with me for now. I’m not crazy about Sultanate of Oman. It’s okay, but I wasn’t swept off my feet. 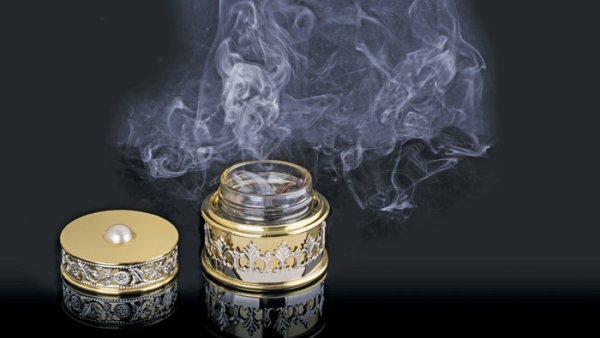 During its floral-oud stage, I didn’t think the elemi and the quality of the incense elevated the fragrance enough to distinguish it from the hundreds of floral ouds on the market, not by themselves on a purely olfactory basis, and not sufficiently so for a fragrance that costs $545 for a mere 50 ml. On the other hand, Sultanate of Oman is better quality than a number of those scents, at least initially. Is the quality that much better to be worth the elevated price all by itself? I personally didn’t think so since the fragrance takes on a very synthetic bent later on, not only in terms of its sandalwood and guaiac but also in terms of its oud. If you love floral ouds, incense fragrances, or the combination of the two in a very Middle Eastern style of fragrance, you should try Sultanate of Oman for yourself. Parfum 51 Femme. 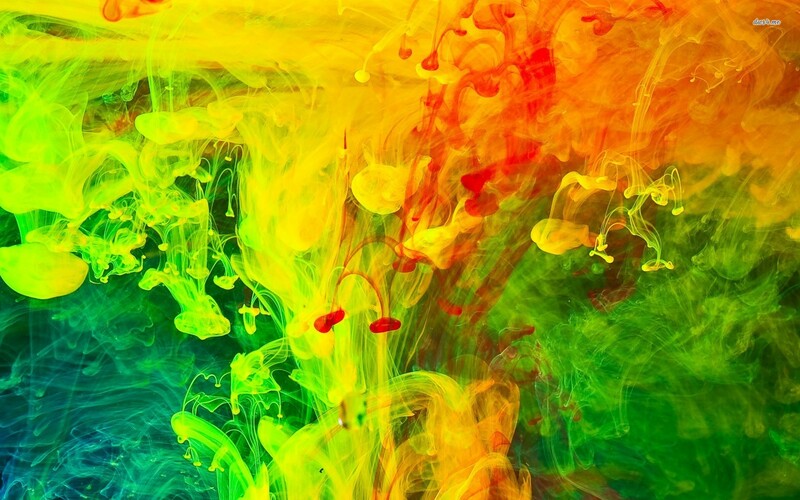 Source: First in Fragrance. BASE: Violet Leaves, Aniseed, Cinnamon, Clove, Patchouli, Casmir Wood, Sandalwood, Benzoin, Vanilla, Orris. 51 opens on my skin with crisp bergamot, slightly soapy muguet (lily of the valley), creamy vanilla, and synthetic sandalwood, all coated in layers of candied, caramel benzoin, then lightly dusted with cinnamon. A slew of additional flowers appear a minute or two later, led by an extremely sweet and custardy ylang ylang, followed by lighter and smaller amounts of creamy gardenia, fresh green tuberose, dewy green lily, demure pink roses, syrupy jasmine, and syrupy orange blossom. Slivers of greenness pop up around the floral bouquet, occasionally reminiscent of violet leaves. Clean musk finishes things off. 51 shifts quite quickly. Roughly 10 minutes in, a fruity accord joins the mix, compliments of fruity patchouli and raspberry. At the same time, the sandalwood turns drier and faintly smoky, the vanilla and caramel benzoin increase in strength, the cinnamon softens to a sheer veil of abstract spiciness, and the muguet retreats to the background. When taken as a whole, 51 is basically a heavily sweetened bouquet of flowers coated in caramel-like vanilla and candied benzoin, lightly dusted with warm spices, then bracketed on either side by synthetic sandalwood and clean musk. The flowers take turns shining in the spotlight. During the first 15 minutes, the ylang is the most consistent star. 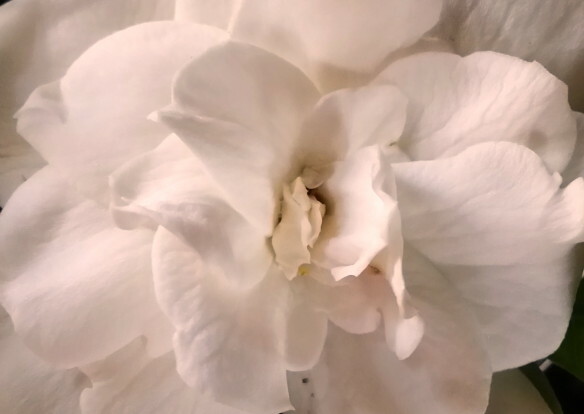 The gardenia, lily, and muguet are typically the least significant flowers on my skin during the opening phase, but little glimmers peek out from time to time behind the dominant note. When the orange blossom takes the lead, the fragrance reminds me of Prada‘s Candy; when the rose or tuberose join in, I think of other vanillic floral orientals like, to give just one example, AJ Arabia‘s Black V.
51 shifts roughly 30 minutes in when the syrupy orange blossom takes over. It’s layered with the benzoin and vanilla, then drizzled generously with jasmine syrup at the corners before being placed on a sandalwood base. The end result is a kissing cousin to Roja Dove‘s Ti Amo from his Profumi d’Amore Collection. On my skin, Ti Amo had a long phase where it was primarily orange blossoms with some syrupy jasmine, lightly infused with fluctuating levels of cocoa powder and ginger, and resting atop a labdanum base. 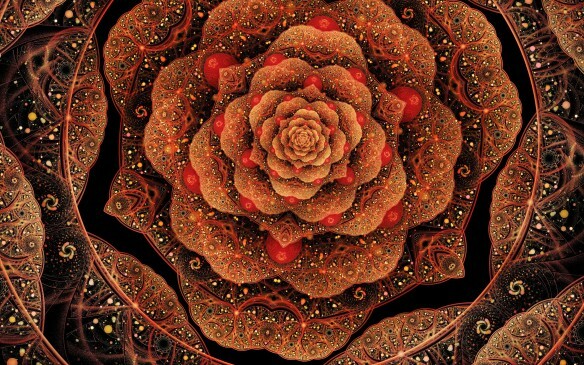 51 shares the same basic DNA to all intents and purposes, except the chocolate and ginger have been replaced with cinnamon and benzoin, while the sandalwood steps in for the labdanum. Having said that, what’s interesting is that, every once in a while, there is an unexpected chocolate nuance to 51’s gourmand sweetness, probably from the patchouli, but it’s a subtle element amidst the central vanilla and benzoin chords with their caramelized and sugary aroma. By the end of the first hour, roughly 85-90% of 51’s bouquet consists of orange blossom, jasmine, caramel vanilla, and benzoin resin over a sandalwood base. The patchouli and raspberry have fused together to form a simple fruitiness that smudges the edges. Everything else is a whisper, and sometimes quite elusive at that. 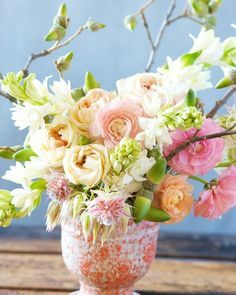 The rose flutters softly and quietly on the sidelines, smelling warm, fruity and honeyed, but the clean musk, ylang ylang, gardenia, lily, tuberose, and wisps of greenness have disappeared into the background where they join the muguet as very inconsequential and ghostly flickers. Parfum 51 changes again 2.5 hours into its development, turning creamy, soft, and quiet. The orange blossom has given way to other florals, but they’re blurry and difficult to dissect. Much of the time, the jasmine seems to be the most evident and constant of the notes, but occasionally the gardenia emanates in strong, distinct, clear waves, wafting its mushroomy, creamy, and milky aromas. Once in a blue moon, it’s accompanied by the similarly mushroomy and creamy tuberose, or a pinch of buttery, custardy ylang as well. The rose flits about from time to time, but it’s usually a minor, tiny flicker in the background, just like the orange blossom. The floral bouquet continues to be coated with vanilla, now silky and creamy, but all traces of fruitiness have disappeared completely. There is zero oakmoss, muguet, lily, violet leaf, or greenness on my skin either. As for the once prevalent benzoin, it has now sunk into the base and no longer smells candied. It’s merely a soft, passing touch of resinousness that is evident only if I put my nose right into my arm and sniff hard. A whiff of softly spiced, beige woods occasionally emanates from there as well. 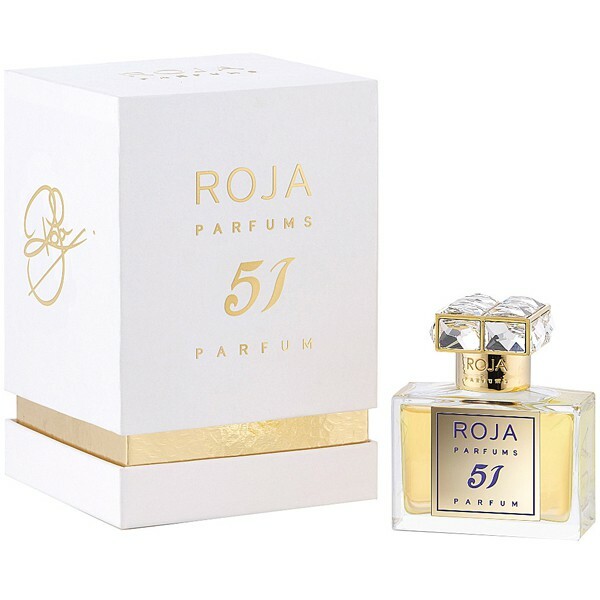 For the most part, 51 is simply a haze of petal soft, creamy, and vanillic floralcy, and it remains that way for a few hours without any major change. It merely becomes softer, creamier, and quieter. It continues to be sweet, but the level is much better modulated from the 3rd hour onwards. It’s a much prettier scent at this point, too, in my opinion, because it’s smoother. Plus, the creamy, mushroomy gardenia is quite lovely whenever it peeks out from behind the cloud. I just wish the notes didn’t feel so abstract the rest of the time, and that the scent as a whole wasn’t quite so diffuse, discreet, and sheer in feel. 51’s bouquet is strong if I put my nose right on my arm, but having to do so after only 3 hours is a surprise. If I don’t, there are only soft vapors of sugary, vanillic, creamy florals that curl up, and only if I move my arm past my nose. What surprised me was 51’s drydown which begins roughly in the middle of the 5th hour. It is unexpected clear in its notes, and is centered almost entirely on the gardenia. It’s really lovely, smelling creamy, mushroomy, and fresh. Its satiny petals are coated with vanilla, and lightly streaked with fresh, milky, green, non-indolic tuberose. In the base, there continues to be a whisper of soft woods, but it’s noticeable only up close and it’s a dying touch. Everything else, however, has faded away. It’s as though the disappearance of the other notes and the fragrance’s reduction to three main elements — gardenia, vanilla, and tuberose — has enabled each of them to shine with clarity, a clarity that had been missing amidst the previous flurry. There is little change from this point forth. 51 simply turns quieter, lighter, and more abstract. The notes dissolve first into something vaguely gardenia-ish, then into nothing more than a wisp of sweetened floralcy. 51 had average longevity, low projection, and initially strong sillage that soon turned average. Using several atomiser spritzes equal to 2 sprays from an actual bottle, the fragrance opened with roughly 4 inches of projection and 6 inches of sillage. At the 2.5 hour mark, the projection dropped to about 1.5 inches, perhaps 2 at the very most, while the sillage was 2-3 inches. 51 became a skin scent just before the 6th hour, but it seemed to fizzle out quite quickly after that. It felt as if it were almost gone at the 7.5 hour mark. In total, 51 lasted 9.25 hours on my skin with a 2-spray equivalent, and just under 11 hours with the equivalent of 3. At the time of this post, I haven’t found any other reviews for 51. I was interested to see, however, the votes on Fragrantica for 51’s main notes. According to 3 people (no more), 51’s first 5 major notes are, in order of strength or prominence: raspberry, ylang, vanilla, orange blossom, and rose. I obviously had a different experience where there was little emphasis on either the raspberry or ylang all the way through, but I think Roja Dove’s fragrances have so many notes and that they’re often blended so seamlessly that the fragrances are quite likely to reflect different notes from one person to the next and even from one wearing to the next. The basic gist of 51, though, is probably going to be the same on most people: a sweet and strongly vanillic floral bouquet where the central flowers change over time. 51 didn’t do much for me on a personal level, but it has some nice parts. The greatest issue for me, though, is the same thing that problem I had with Sultanate of Oman: the fragrance wasn’t distinctive, original, creative, or interesting enough for its price. There are so many luxury vanillic florals or vanillic floral orientals on the market today, quite a few of which have the same basic level of quality but cost less. 51 Parfum Femme costs €395, £295, and, I think, $415 for 30 ml. That’s quite high for 1 small ounce, even for Roja Dove. Contrast that with, for example, AJ Arabia/Widian‘s Black V parfum, a gourmand floral oriental with orange blossom, tuberose, cinnamon, vanilla, caramel, cedar and fruity notes. It costs $245 for 50 ml. No, it’s not identical in scent and I can’t bear its bombastic level of sweetness, not to mention its “solar” ambery accord, but it’s not worlds removed from Parfum 51 in style, composition, and quality. It’s a vanillic floral or floral oriental with fruity, woody, ambery, and gourmand bits. 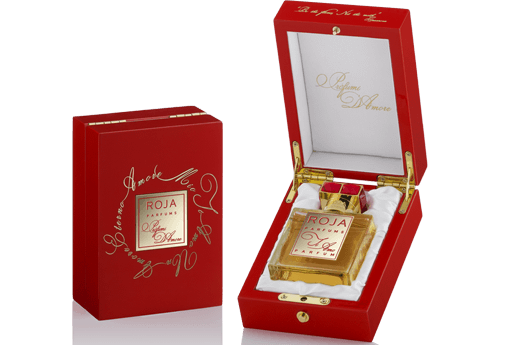 In fact, several of Roja Dove’s other releases this year have been quite similar in vibe and feel to 51, like the semi-gourmand floral orientals in his Profumi d’Amore Collection, except those, too, are slightly cheaper and come in a larger 50 ml size. However, none of them have been particularly riveting or special to me, even without the issue of their price. Old Roja fragrances like Diaghilev, NuWa (original version), Enigma/Creation-E, Danger, Risqué, Innuendo, or Roja Haute Luxe may have been loosely inspired by some famous classics, but they were either interesting, compelling, bold, or surprisingly distinctive in feel. I don’t feel the same way about the ones released this year or the last. I’ve lost track of how many fragrances Roja Dove has released this year alone but, based on the brand’s page on Fragrantica, it’s as many as 14. Last year, it was 11. I wish he would slow down and focus on distinctiveness instead of quantity and price. Disclosure: My samples were kindly provided by EuroPerfumes, Roja Dove’s American distributor. That did not impact this review. I do not do paid reviews, and my opinions are my own. Cost & Availability: Sultanate of Oman is a pure parfum that comes in a 50 ml bottle for $545, €525, or £395. The version of 51 Femme covered here is the pure parfum but it also comes in an EDP concentration, both in 30 ml sizes. In the U.S., I believe Parfum 51 may cost $415 for the 30 ml extrait version. Overseas, it costs £295 or €395. In the U.S.: Roja Dove is generally available at Luckyscent, Osswald NYC, Neiman Marcus, and Bergdorf Goodman. However, at the time of this review, I don’t see Sultanate of Oman or 51 listed on any of these sites. 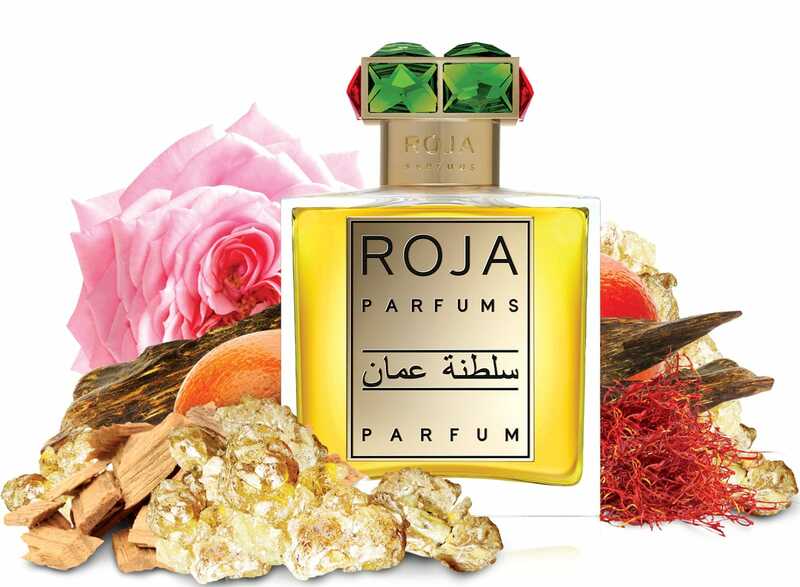 Outside the U.S.: in the U.K., Roja Parfums sells Sultanate of Oman and 51 Femme, along with exclusive 7.5 ml decants of each. The fragrances should also be available at Selfridges and Harrods. On the continent, First in Fragrance sells both Sultanate and 51. I don’t see either fragrance at other Roja Dove retailers like Jovoy or the NL’s Lianne Tio. Samples: I haven’t found any U.S. site selling samples at the time of this review. If you’re overseas, you can buy samples from First in Fragrance. This entry was posted in Floral Oriental, Oud Fragrances, Perfume Review, Roja Dove, Smoky or Incense Fragrances and tagged 51 fragrance review, Parfum 51 Femme, perfume review, Roja Dove, Roja Dove 51 parfum, Roja Dove Parfum 51, Roja Dove Parfum 51 review, Roja Dove Sultanate of Oman, Roja Dove Sultanate of Oman review, Roja Parfums, Sultanate of Oman fragrance review by Kafkaesque. Bookmark the permalink. You are right in that sometimes fragrances smell differently on different people. I find this is all the more true for RD fragrances. A friend of mine once told he finds Diaghilev is heavy on the rose. I told him I get no rose whatsoever and for me it is mostly about raw and earthy musk, woods and fruits. When I met him next he asked me to guess what he was wearing and my guess was Rose Barbare! I couldn’t believe how different it smelt on him because I have worn Diaghilev a lot over the years but never got those facets which were prominent on his skin. Similarly, vintage Nüwa smells so good on his skin I want to eat him up. On my skin it is a cumin bomb which makes it intolerable. The original Nuwa was all cumin on me too! My nose seems to detect it and magnifies it to such a level that I almost always have a gag reflex. I like the new formulation Nuwa but have’t had the desire to plunk down $$$$s for it. Welcome to the blog, Muhammad. Yes, I agree, Roja Dove fragrances are usually very prismatic compositions. By that, I mean that they reflect different notes at different times, like rays of light bouncing off a chandelier. I use that term often in my RD reviews, but I think it applies to his older releases more than, say, Sultanate of Oman. As for how certain fragrances smell on you versus your friend, skin chemistry (dry vs. moisturized skin) is a major factor as well in terms of how a scent differs from one person to the next. Nice reviews, Kafka! I will live vicariously through you. I used to like sniffing the Roja Dove perfumes at Bergdorfs but for the past 6 months, including at last Saturday’s Sniffapalooza, I didn’t even bother sniffing anything from that line. Looking forward to your review of masculine 51; perhaps that will re-ignite my interest in this line! I don’t have a sample of the men’s 51 at this time, so a review is unlikely for the moment. However, I do have a sample of Great Britain, a very expensive, new Roja Dove chypre. I haven’t tried it yet, but I have high hopes for it. No amount of perfume can mask the torture that takes place in Oman. Political expression is met with mock executions, beatings, and solitary confinement. It is against the law to criticise the sultan. There is plenty of information available from the Gulf Center for Human Rights. I can’t respect Roja Dove anymore. I am sad because I agree. I can’t help but be cynical at most of Roja Dove’s latest offerings. Maybe Great Britain is an exception (I hope it is) but the recent ones seem to be only in it for bringing in revenue. I know that it’s all about making money in the end, of course, but it’s sad how they seem to blatantly lack artistic merit. I don’t know. I don’t know your specific tastes, the notes you like or dislike, the fragrances that you’ve enjoyed or disliked in the past, how you view animalics, etc. There are lots of different leather-woody oriental fragrances out there. Fragrance is not “one size fits all,” but a deeply subjective thing that depends on each person’s specific likes or dislikes.